Southern California, commonly known simply as SoCal, is home to some of the Golden State's most popular touristic locations and landmarks like Hollywood, Disneyland, Los Angeles, San Diego, La Jolla, Santa Barbara, Palm Springs, and more. This region is generally regarded to be made up of eight counties and is home to around 22 million people, which is over half of the state's entire population. With LA being such a large and significant city in fields like entertainment, tourism, and industry, Southern California is an economically important region and attracts millions of visitors each year. It enjoys very warm and sunny weather and has a lot of great man made and natural attractions to appeal to people of all ages. Some of the top attractions in this region include the sights and sounds of Los Angeles, the beautiful coastal cities of San Diego and Santa Monica, Joshua Tree National Park, and more. 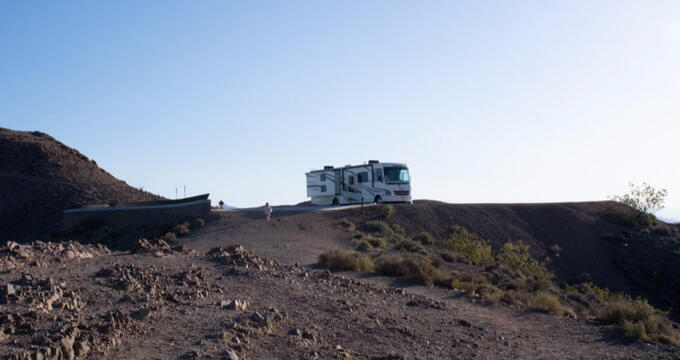 SoCal is a popular place for road trips and RV vacations, and there are lots of highly rated RV parks and campgrounds to be found all around Southern California. Read on to learn key details about all the best RV parks in SoCal, including names, addresses, and phone numbers for each park, along with overviews of the various features and amenities at each location. One of the most popular touristic attractions in all of Southern California is undoubtedly Disneyland. The two Disney theme parks down in Anaheim offer a lot of magical fun for people of all ages, especially young children, and allow everyone to live out their dreams and meet the characters they love so much like Mickey Mouse and Buzz Lightyear. If you're looking for a great SoCal RV park that offers easy access to this mega attraction, look no further than Anaheim RV Park. This park really couldn't be any closer to the Disney attractions; it's mere minutes from the park entrance, and you can even see and here some of the regular Disney firework shows right from the park itself. Anaheim RV park features dozens of spacious RV sites lined out along streets that are actually named after classic Disney characters like Donald Duck, Goofy, Stitch, and Mickey Mouse. This highly rated RV park offers free shuttles to the theme parks and also comes with a swimming pool, hot tub, a cafe, dog park, restrooms, showers, laundry facilities, and more. Located down near the international border with Mexico, Chula Vista RV Resort is one of the top RV parks in San Diego. Offering stunning views out onto the Pacific Ocean and easy access down to Tijuana and other local touristic hotspots, this highly rated RV park is a great space to base yourself for some SoCal exploration and adventures. The RV park is spread out across 17 acres of land and offers quick, direct access to local attractions like the Gaslamp District, Sea World, the San Diego Zoo, Balboa Park, and the Seaport Village. The on-site amenities here include a marina with over 550 slips, a swimming pool, hot tub, fitness center with weights machines, waterfront restaurant serving up all kinds of delicious meals, bike rentals, boat launch sites, a private beach, a local park, a general store, and more. The staff at Chula Vista RV Resort are also very friendly and helpful, always able to provide guidance and advice to help you make the most of your stay, as well as helping to book tickets for local attractions and organize fun on-site activities like live music shows and game nights. There are a lot of beautiful natural areas to explore and enjoy all around Southern California, and the Stagecoach Trails RV Resort is literally surrounded by some of the prettiest scenery and best hiking and biking trails in the entire region. For outdoor enthusiasts and nature lovers, there's no better RV park to choose, with nearby attractions and landmarks include Lake Henshaw, Historic Julian, the Pala Casino, and several good golf courses. This RV park doubles up as a horse camp, so if you'd like to travel with a horse or enjoy some horseback adventures in the SoCal wilderness, Stagecoach Trails RV Resort is a super place to start. The on-site amenities at this spacious park include picnic tables, horse corrals, a riding area, countless trails, storage areas, sport courts, a picnic pavilion, horseshoe pits, a swimming pool, a volleyball court, a general store, the Stagecoach Inn, and more.